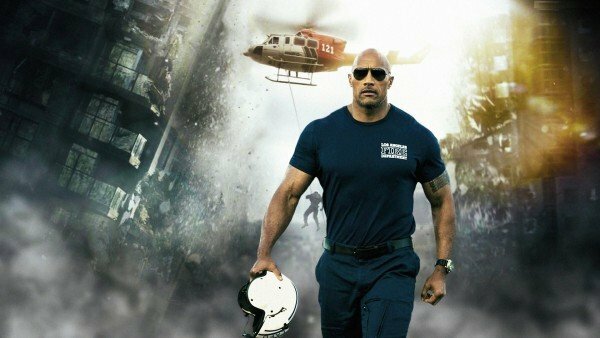 San Andreas has topped the US box office, taking $53.2 million over the weekend. The earthquake disaster movie, which stars Dwayne “The Rock” Johnson, knocked last week’s top film Tomorrowland, which debuted with $40.7 million, into third place. Pitch Perfect 2 was at No 2 and Mad Max: Fury Road was fourth. Avengers: Age of Ultron – 2015’s biggest US film so far – was fifth. The Marvel comic film has so far taken $427 million at the US box office. It was also Dwayne Johnson’s biggest debut for a non-sequel as the top-billed actor, according to Rentrak. San Andreas also features Kylie Minogue, as the sister of one of the key characters, Emma, played by Carla Gugino. Aloha, starring starring Bradley Cooper, Emma Stone, Rachel McAdams and Bill Murray was in sixth place. Despite its stellar cast Aloha‘s reviews have not been particularly positive and it was in the spotlight last year after leaked emails from Sony Pictures Entertainment co-chair Amy Pascal said its script was “ridiculous”. Some native Hawaiian groups opposed the title; while an Asian-American group slated the use of a nearly all-white cast in a film shot in Hawaii. The film, which took $10 million, cost about $37 million to make. So far this year, US and Canadian box office takings are up nearly 5% at $4.26 billion, while attendance is up more than 4%.